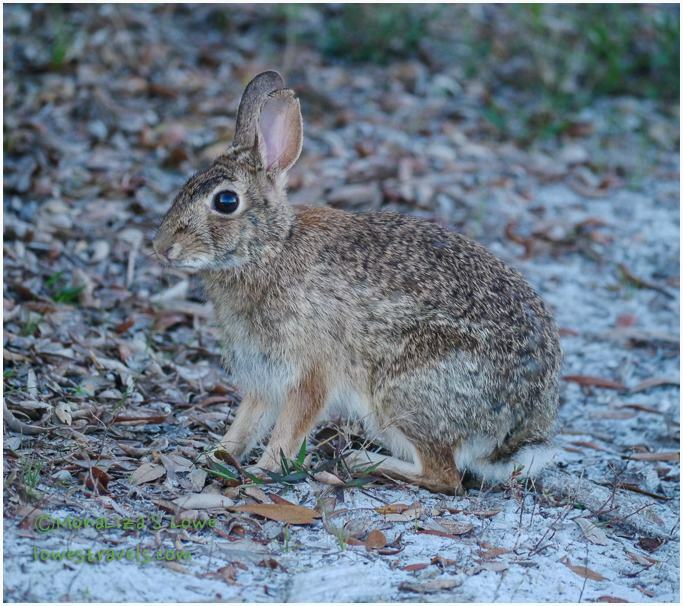 We have been dilly-dallying near the Alabama coast before continuing our trek north, wanting to make sure that Spring has sprung and temperatures are on the rise before we continue our adventure. So here we are, hanging out at Gulf Shores for the next three weeks. There’s lots to do here, but because this is our second trip into the Gulf Shores area, we’re trying to do a little more relaxing this time around. 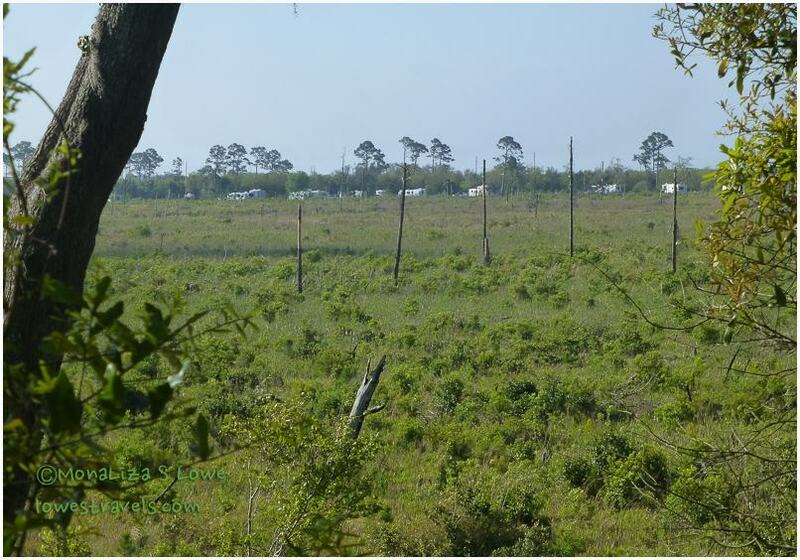 While staying at Gulf State Park, we have finally found what we consider a perfect “10” campground. Hearing a lot of good things about this huge 496-site park in the past, we tried to make reservations for our stay last year but discovered they were fully booked through March. 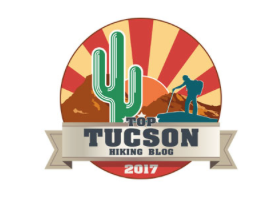 This is the only state park we are aware of that allows monthly stays from November through March, and a 14-day maximum all other times. What’s to like about this park? First, it met all of our personal criteria; park location, site levelness and spacing, and not too much road or “people” noise. It was just a great atmosphere to hang out in. 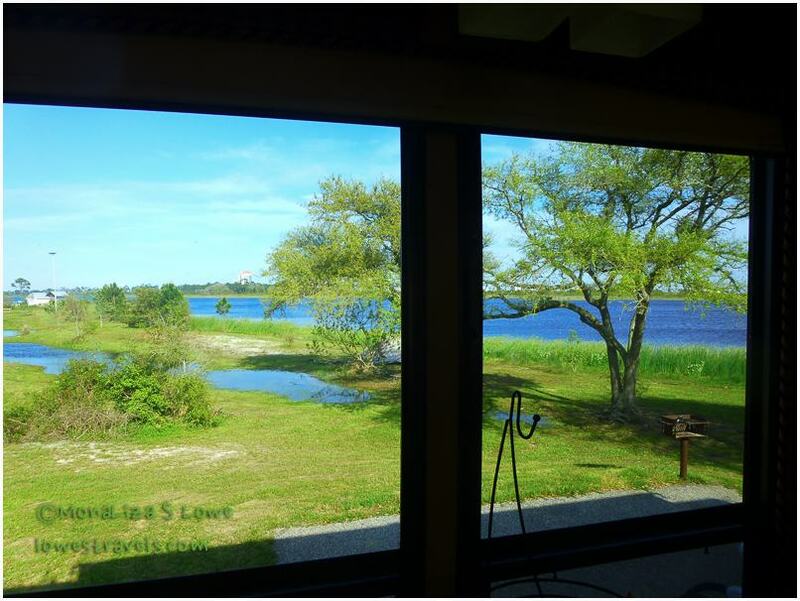 Easy access to several hiking/biking trails and many other amenities were icing on the cake. If we were really going to be picky, we might complain about the lack of hills or mountains to scale or look at. 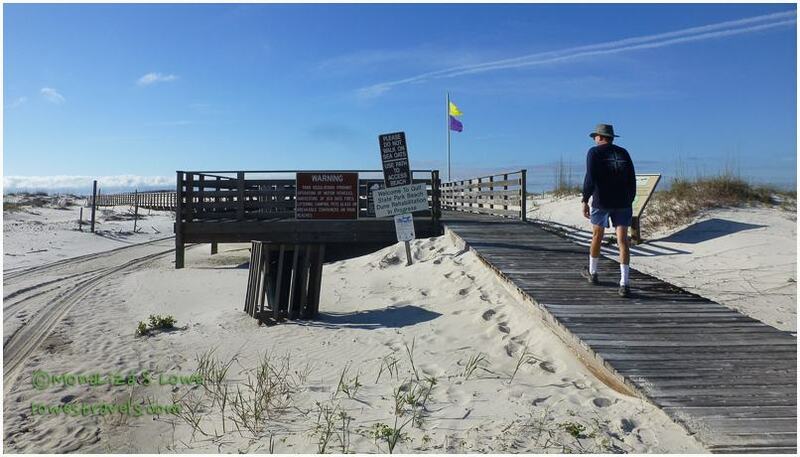 But that’s not the park’s fault, and besides, the white sand beaches of the Gulf Coast are only a mile away! To see more things to do while at this park, click here. We strongly recommend it to anyone coming to this area. After birding with Laurel and Eric on our first two days here, we began to explore the park and hit the trails before the forecasted storm, wind and rain arrived. Just walking through the campground can be a workout – it’s 2 miles end-to-end, not including any of the side roads or walking trails. But to make it even better, it also has easy access to the Hugh S. Branyon Back Country Trail. 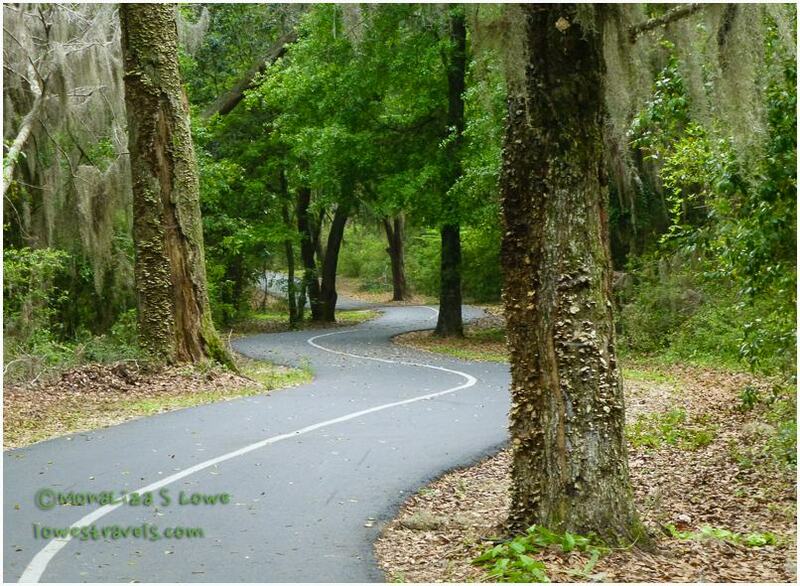 Traveling between Gulf State Park and Orange Beach, this complex of 6 attached paved paths covers 12 miles. 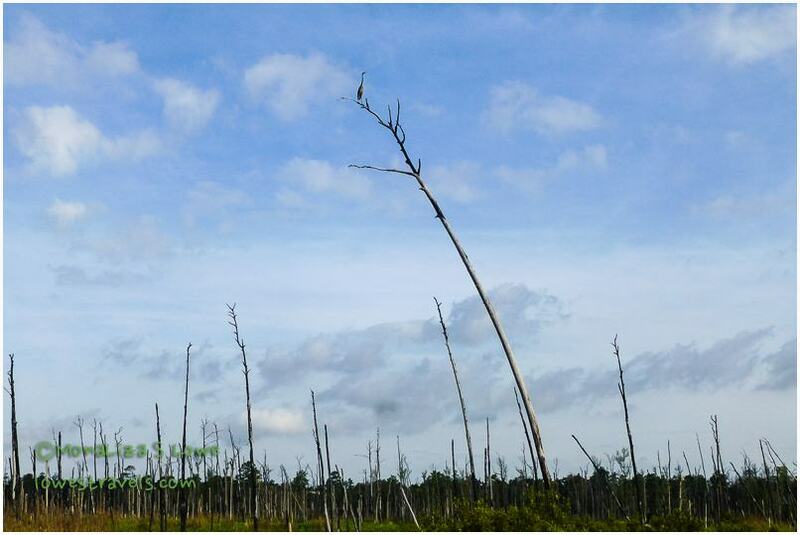 It’s believed that the area is historic, as it was once used by indigenous people and early settlers. It took us 2 rides, one at 19 miles and another at 15 miles to cover all of the paths and get back to the park. 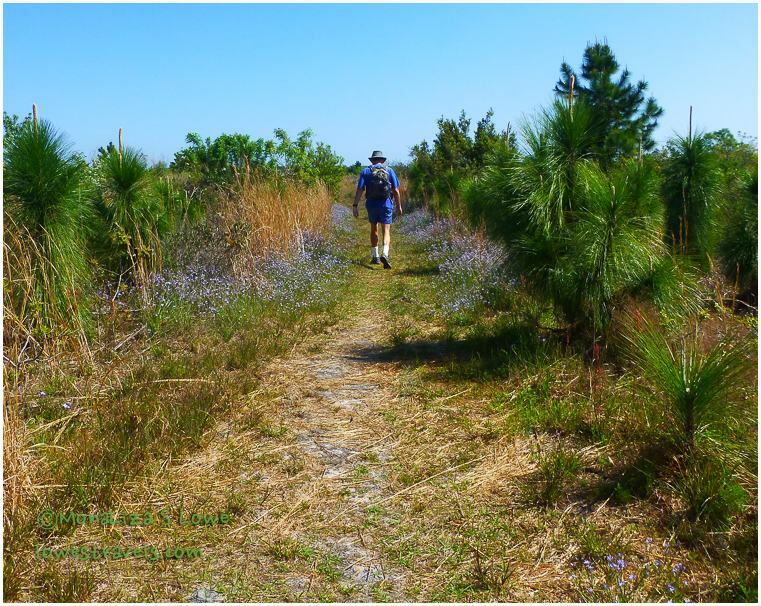 The Hugh S. Branyon Back Country Trail traverses a wide diversity of habitats, running along marshes, secondary sand dunes, swamps and over several creeks. We took our rides early in the day and observed that the paths got busy later on. Leaving early also allowed us to encounter some wildlife along the way. Can you find the Great Blue Heron? On other days, we walked all 9 of the unpaved connecting trails within the park. It was flat, but we got fairly good workouts nevertheless. On these walks I practiced capturing some wildflowers up close and low to the ground using my Point and Shoot Panasonic DMZ-ZS19. It got some pretty decent shots. We took the one-mile walk to the beach and then added several miles while walking along the shore. 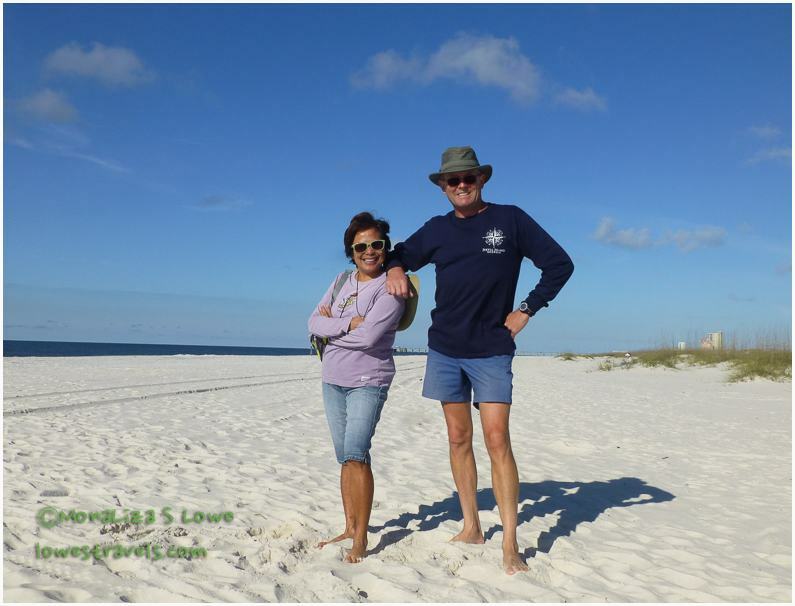 There are over 3.5 miles of white sand beaches available in both Gulf Shores and Orange Beach, Alabama. Best of all, it’s free! Yes, we are enjoying our last few days at the beach before moving on! 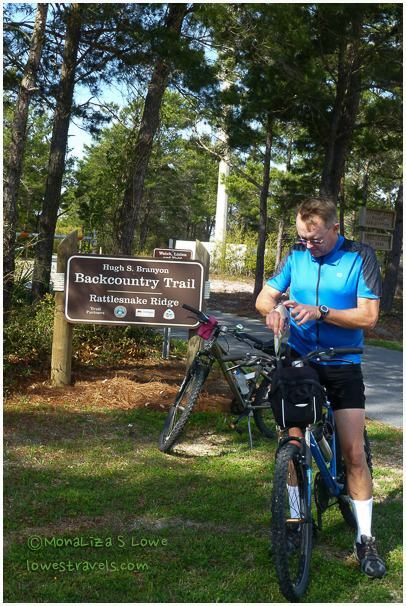 All of these activities were done within the confines of the sprawling Gulf State Park, with no driving required. 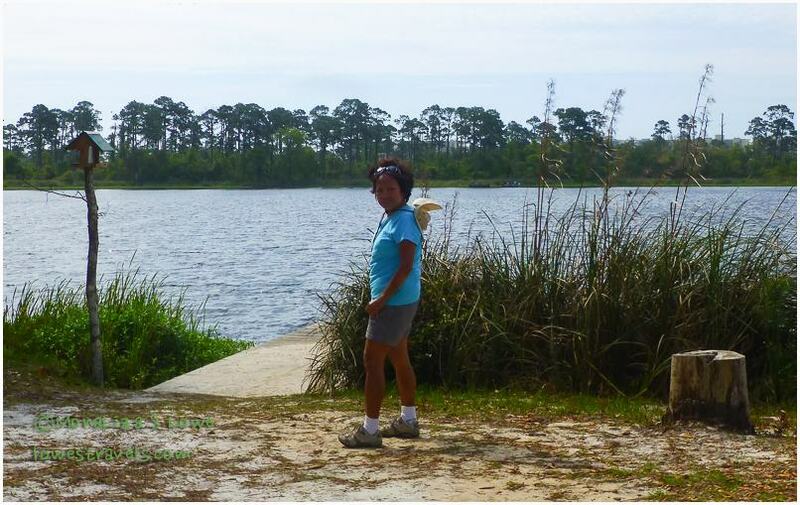 The park also offers birding, golfing, boating, fishing, kayaking and canoeing. After four days of active fun the storm hit, and it was a doozy just like the forecasters predicted. Next up: What do you do when cooped up for three days? No driving sounds wonderful, nice to have so much just outside your door. Love the alligator mama and babes! 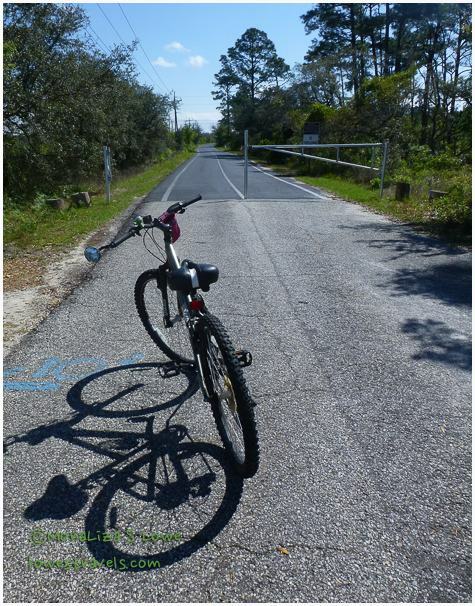 We enjoyed our stay at Gulf Shores last year … those bike paths were a daily event for us … as was the beach walks. Good to see Lefty and her babies are doing well. Erin, it would be a shame if the trails and the beach are not being enjoyed while here at GSP. … the alligator picture is fabulous! Thanks for the campground recommendation. Looks like a great place to spend a week or two. 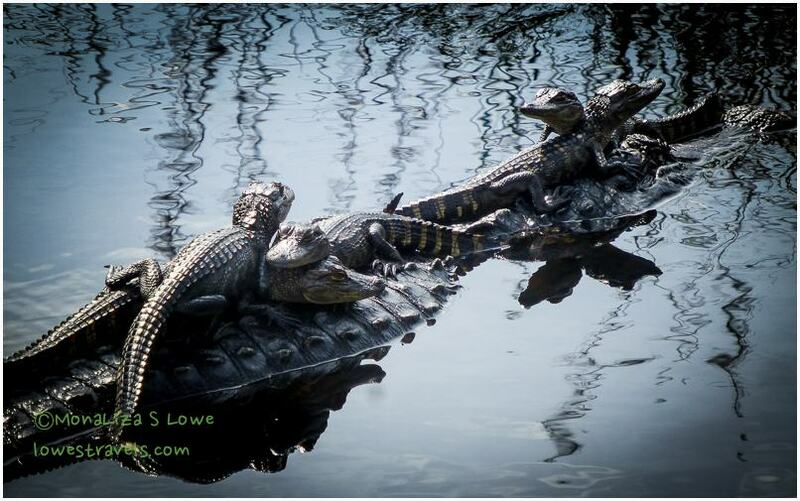 Love your photo of the mama ‘gator with five littler ones on board! Hi Sue, yes, if ever you come to the east for a vacay, this campground should be high on your list. Safe and happy travels, Steve and Mona Liza. Be careful with the looming bad weather. Love your crisp image of the alligators. Oh yes, this is one place you would not want to miss. Thanks Laurel, if you and Eric had stayed longer we could hit the trails together too! And you just gave me an idea about wardrobe and will hit the outlet mall in a few days. We went back to TinTop yesterday and Steve had his oyster rockefeller! Yum. I definitely will go there before we leave. And oh I saw a rose breasted grosbeak on the trail today! I totally agree with you LuAnn about the lack of good parks where you are at 😦 and there isn’t any that meet our requirements. 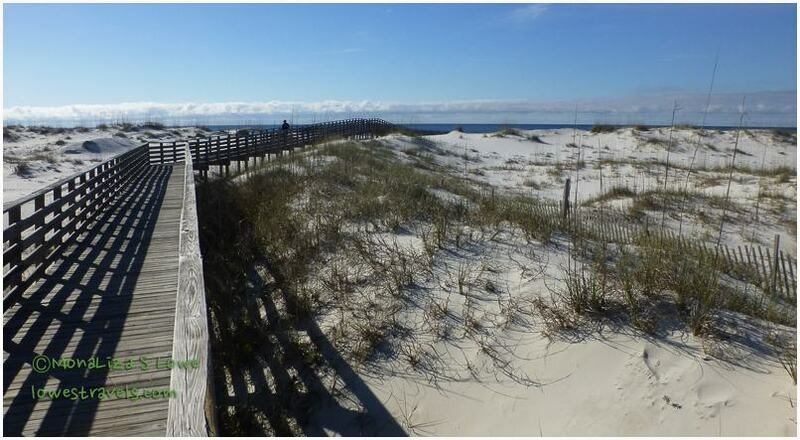 But if your meanderings takes you to Alabama Coast, the Gulf State Park is where you would like to be. You and Terry will like it. What a lovely place to dilly-dally. Why move on? Loved the pic of the mother and baby allies! When I’m cooped up, I read, write nonsense, watch TV and grizzle that I can’t outside! GSP is a place you won’t mind being cooped up. Very Nice! That looks like a great spot for all sorts of things to do. You two stay in shape thats for sure. Love the alligator photo, very cool. Thank you Cheryl, we do try to be active whenever there is a chance. 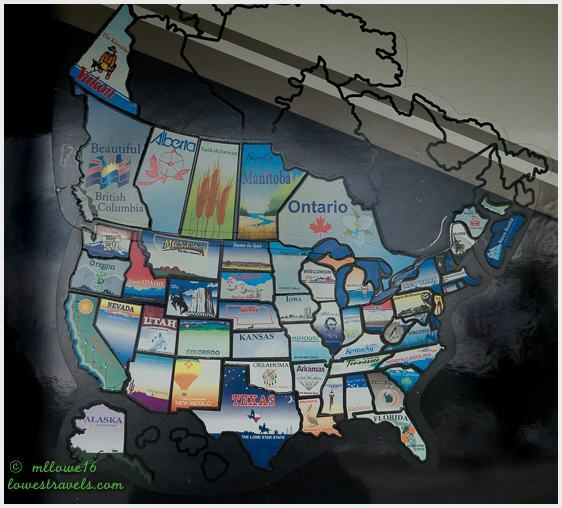 This is an area you might like to visit on your way to the East Coast. Looks like you found a winner. Super site with an awesome view. That is one long snake! I do love that mother gator with all those babies. That was the best find. Glad you found beautiful exercise trails. Sure makes working out fun. Yes Pam, this is a winner, the state park has almost everything we wanted except they don’t have hills or mountains. 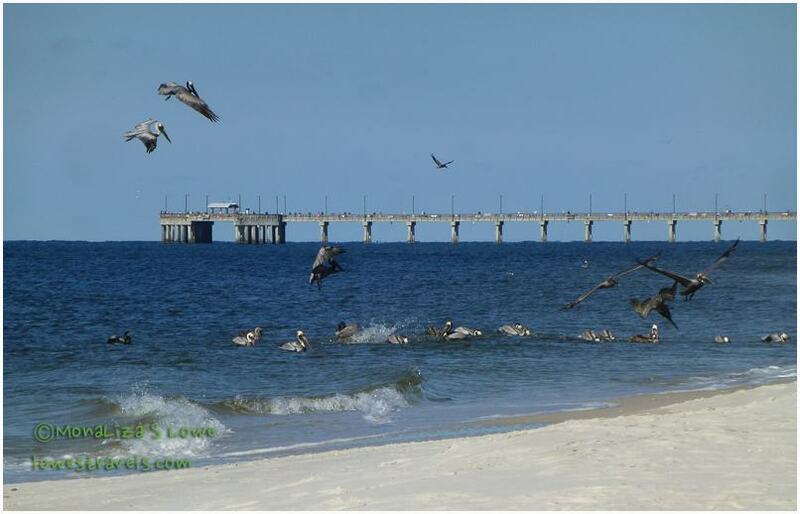 Thanks Sylvia, the brown pelicans were really fun to watch as they dive for their eats. Ingrid this is a great state park although they don’t have the hills like Cave Creek. The park is close to shopping and restaurants as well. What an awesome park…this one will definitely be on the list for when we head back east! Beautiful wildlife photos….especially the mama gator with her babies. I do love the ocean! Gay, your dogs would love it here too, esp # 37 where it has a wide area for them to play. Thanks bulldog, and yes we found a great site for an extended stay. That looks like a wonderful Park, just the kind we like. 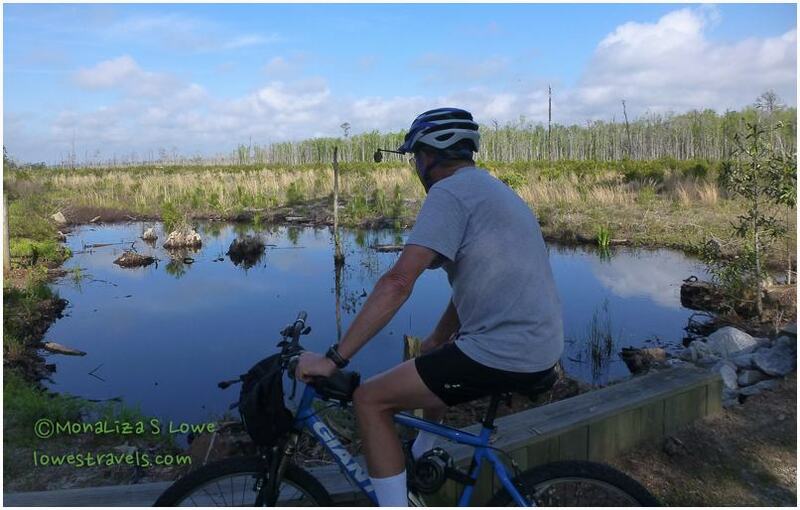 I loved the picture of Steve’s “smile bumps” while he was looking at the Alligator trail sign…….Thanks for taking us along. Sue, in case your route takes you here in the south, the state park is the place to be. Sasha and Lewis will have plenty of room to play. What a fantastic looking park! Score! I’m vicariously enjoying your lush green landscapes! Thanks Lisa, but where you are beats where we are 🙂 hands down. We really enjoy that area too. I just added your post to Pinterest. 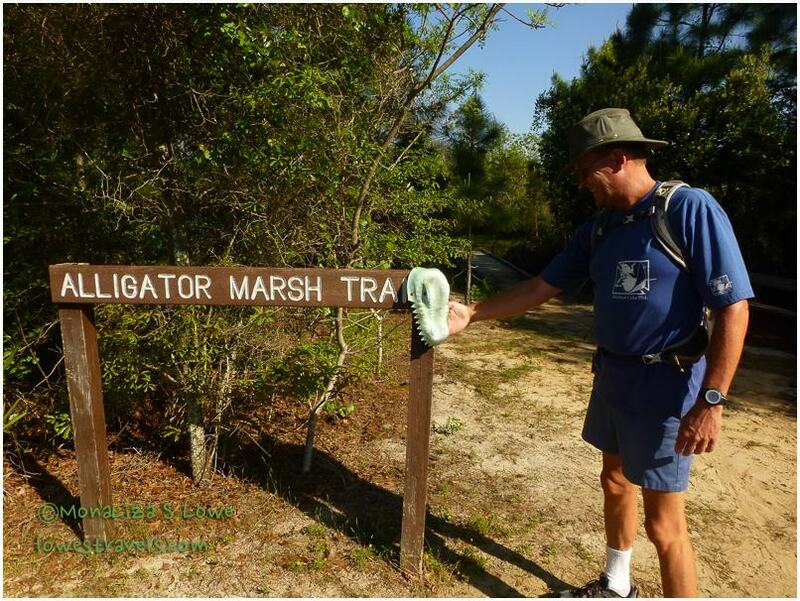 We haven’t done the alligator marsh trail. You two take the cutest photos. Keep enjoying the good life. Thanks Marsha, we are having a great time here in Gulf Shores.